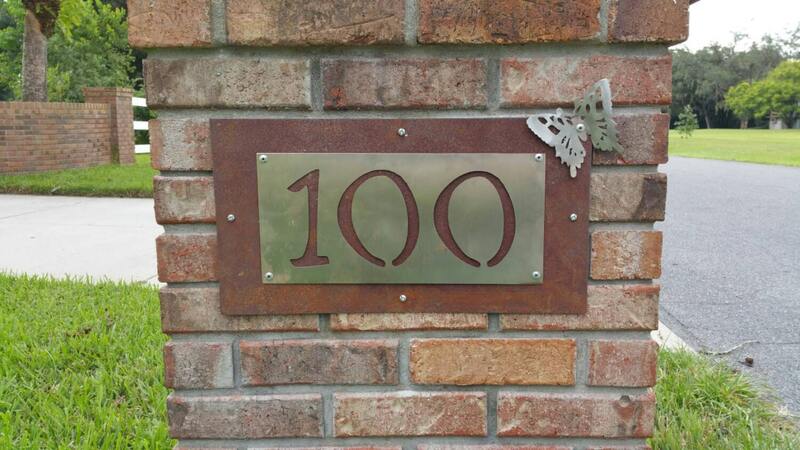 Customizable address plaque for your home or office. Made from 18g steel backer plate that is patina'd, brushed stainless steel plate, and stainless accents of your choice. Price includes up to 5 numbers. Overall size of plaque is 17" long and 9" tall not including accent pieces. Font and accent pieces customizable. Additional numbers or letting a slight up charge. Made to order, allow 1 week before shipment. All materials and machines used in the fabrication process are produced, manufactured and serviced in the USA.